Mickey’s birthday is finally here! It feels like we have been celebrating it for months now, but the party is just beginning. 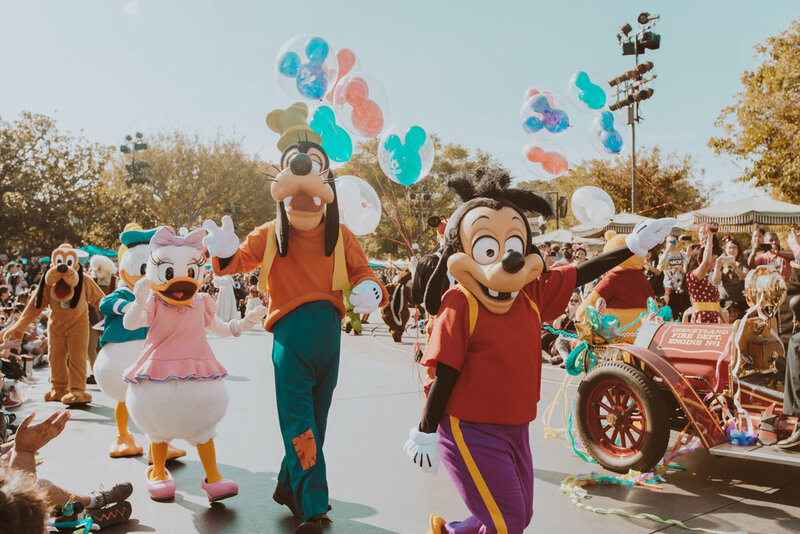 Of course, the best way to kick off Mickey’s big year was by heading to the parks for the celebration. We started off the day at the crack of dawn, literally. 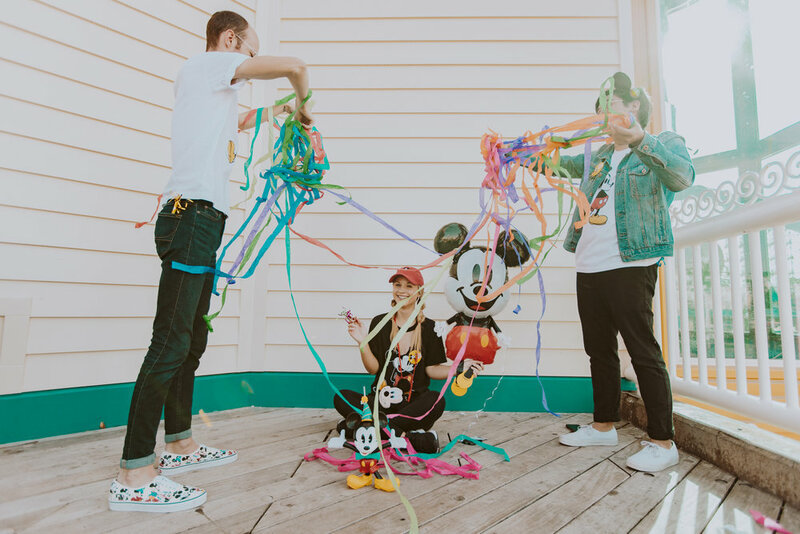 Our main goal was to grab a Mickey button, which usually runs out in just a couple hours, but many set their sights on the adorable Mickey sippers. They were super cute, but not worth waiting over an hour (some even waited up to three!) in my opinion. The line from the Jolly Holiday stretched almost to the beginning of Main Street — insane! Of course we had to kick off the fun with a little breakfast and trip to the the home of Mickey himself: Toon Town! If you’re ever here on his birthday, this is the only place you can find Mickey in his classic attire. Throughout the rest of the parks he is found sporting his Christmas best. After taking a few photos in Toon Town, we ran over to grab a spot for Mickey’s birthday Cavalcade. If you’re ever in the parks during his birthday, this is definitely something you have to do! We waited about two hours to secure the perfect spot, but it was worth it. 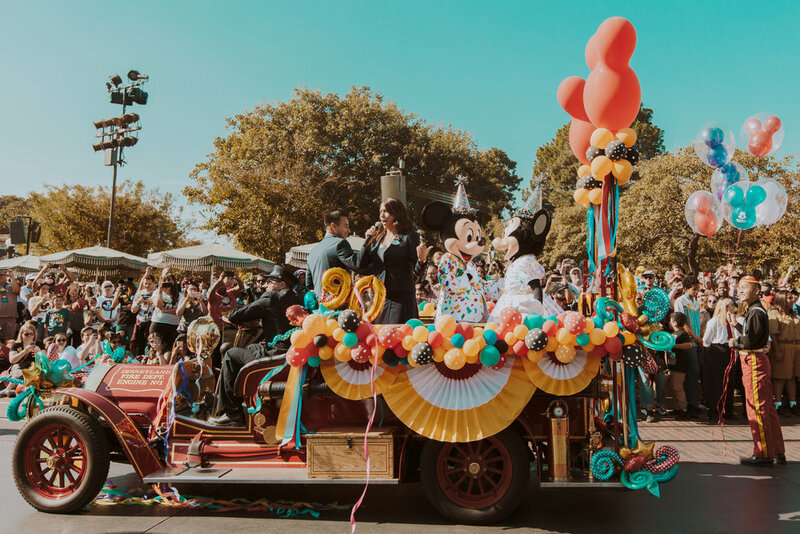 The parade stops four spots along the route: in front of small world, Tomorrowland entrance, middle of Main Street, and finished off in front of the train station. 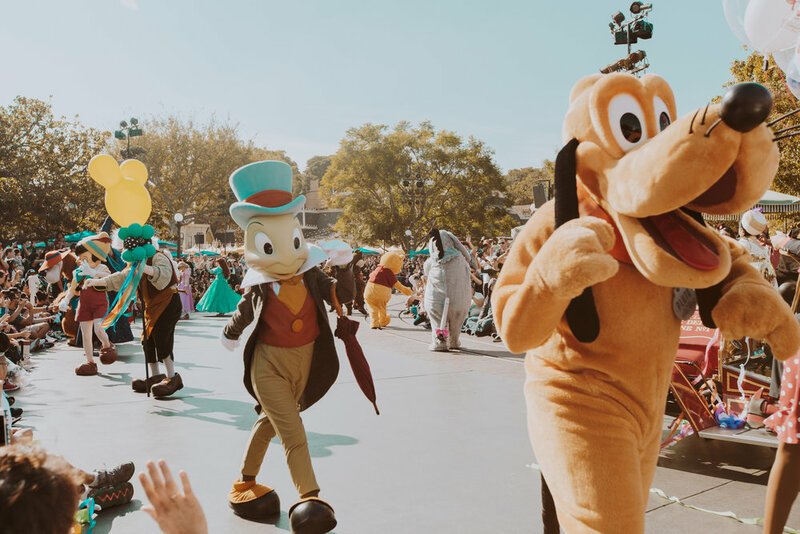 Almost every character you could think of from Max to Jiminy Cricket was out to celebrate Mickey’s big day. If you have ever wanted to see a rare character, this is the day to make it happen. 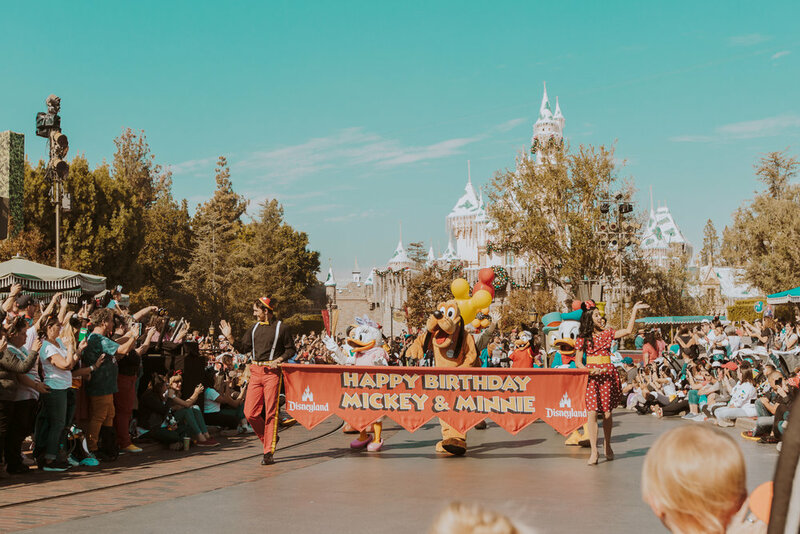 Of course happy birthday was led by the one and only Dapper Dans and all Mickey’s friends danced in celebration. And what kind of party would it be without streamers? 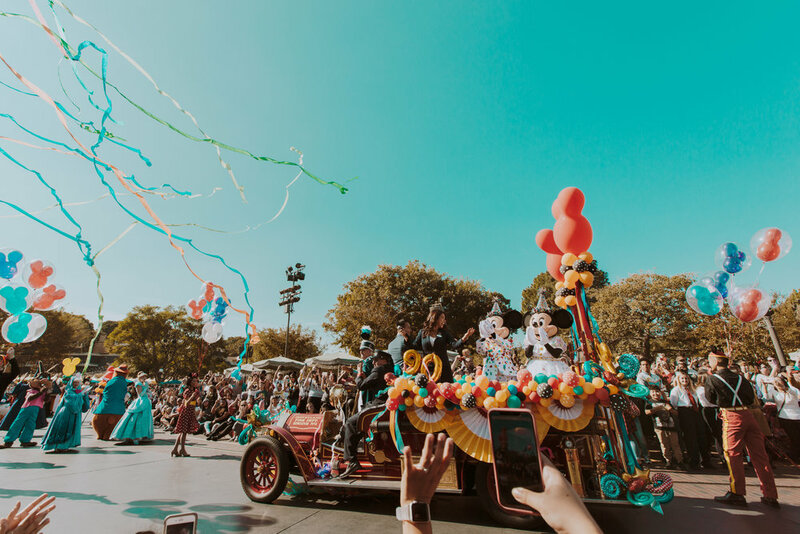 This parade is one of those moments that will make you cry, it’s that special! While everyone was running around Disneyland to grab their Mickey birthday pictures, someone in our group had the genius idea of heading to DCA. There’s a giant Mickey right on Pixar Pier! How could you miss out on this perfect photo op? And thanks to Brody for grabbing a whole ton of streamers and park hopping with them just for the gram! Happy Birthday to the best mouse around! Today was one of those days where I reflected on how incredibly thankful I am for all that Mickey and Disney has done in my life. From forming amazing friendships to once in a lifetime events, this mouse has carved out a little place in my heart.